Good quality baby gear makes such a difference when you're a new mom. I not only look for gear that look nice, but that will last! 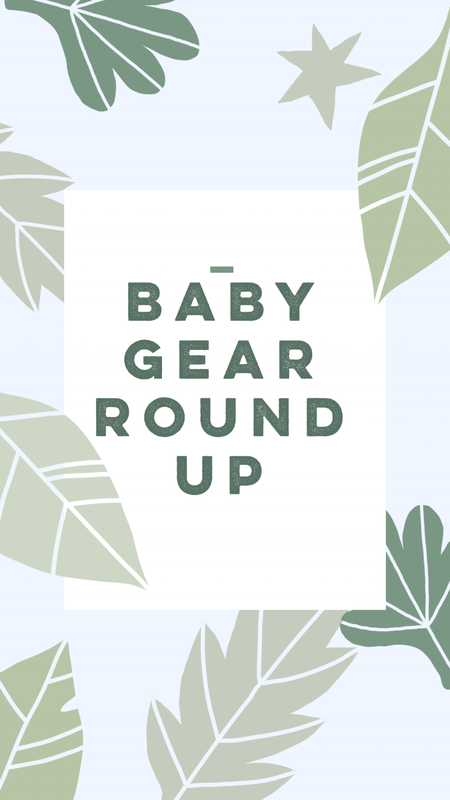 As a blogger & mom, I have tried LOTS of different strollers, joggers, car seats, and high chairs....so today I decided to round up my top faves (thus far) for you all! FAVORITE INFANT CAR SEATS//Maxi Cosi Mico Seat- These car seats last from kid to kid, and are perfect for a baby from 0-1 years old! I also love their sleek designs!//Cybex Sirona- I mentioned this car seat in an earlier post! It has amazing advanced features/technology, and is perfect for a baby 0-3 years old!!!! Only problem is that it doesn't connect to strollers/and isn't made to be moved out of the car.//Nuna Pipa Lite Seat-This is the car seat Sorel is currently using in my car, and its AMAZING. It is super lightweight, and easily connects to most strollers & joggers!!! I love the design/color options it comes in as well. FAVORITE TODDLER CAR SEATS//Maxi Cosi Pria- I love this car seat for our 2 year old Marloe so much that we have two--one in my car, and one in Colten's! Its comfy, has amazing protection, and is easily washable for all those toddler messes! I love that it has a cup holder as well!!!! If you;re looking for a more affordable brand, I also have heard amazing thing about the Chicco Kidfit. FAVORITE STROLLERS/DOUBLE STROLLERS//City Select LUX-The best thing about this stroller, is that it can easily turn from single to double! Its easy to travel with...and has all the bells & whistles!!!! By far my favorite stroller I've tried thus far. ONLY problem is that its heavy & can be hard to put into cars!//City Mini- This stroller is ideal if you don't plan on needing a double stroller. Its lighter weight than the City Select, and does well on rocky terrain! FAVORITE JOGGING STROLLERS//Thule Jogging Stroller- If you do any jogging with your kids, and want/need a jogging stroller...then Thule has the BEST one! I have their single & double jogging stroller and prefer it over the BoB Jogger (which is also AMAZING). It is easy to travel with, and glides effortlessly over most surfaces! FAVORITE HIGH CHAIRS//Skip Hop- I love their high chairs, because they can go from tall to fit most table sizes, to short!! Plus the modern design is my FAVE!//Joovy Spoon Walker-also makes a great mobile high chair for younger babies who wanna move!!! !